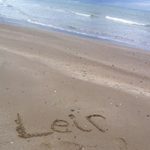 "Our family have been with Leir for the last three years, it was our first time to be a host family and we were a little anxious but thankfully it's been a wonderful experience for everyone in our family from the youngest of 6yrs to the eldest of 11yrs. The best thing is that Peter and Rosa are always on hand with any problem no matter how small that's why we've returned year after year." "A highly recommended experience our student was a pleasure, looking forward to doing it again"
"We were very nervous at the start, but Rosa and Peter made us feel so relaxed about the whole process and the fact that our student was matched with us is brilliant, we had three students in the same year and never any hassle. Highly recommended"